Petri, one of the Hill's most ardent advocates for smart education policies, is already talking with Democrats about enacting legislation to allow school systems to use computer-based testing that adjusts according to a student's ability level. That's a change that the congressman says will make it easier for schools to do a better job of measuring individual student progress under the flawed No Child Left Behind law. The receptiveness of Democrats to his proposals leads Petri to believe that the new House leadership may "avoid making the same mistakes the Republicans made" when they used their control of the chamber to practice scorched-earth politics. 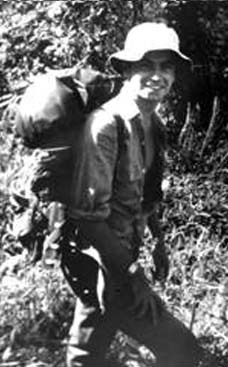 Congressman Tom Petri of Wisconsin served as a Peace Corps Volunteer in Somalia in the 1960's. 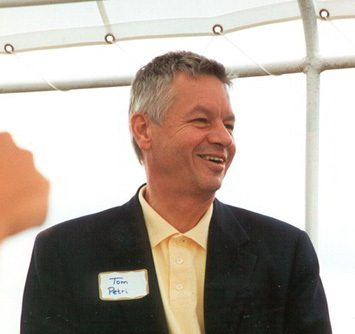 This newspaper frequently disagrees with U.S. Rep. Tom Petri, R-Fond du Lac, but we have always respected his bipartisan inclinations -- so much so that we have frequently endorsed him as the last mainstream Republican in the Wisconsin delegation. Petri is an example of what is still decent about our politics in general and about his brand of Republicanism in particular. That was evidenced at the close of 2007. GOP partisans were busily attacking the new Democratic leadership of the House for running what they claimed was a "do-nothing Congress." While there is much to criticize in the way that the Democrats have operated, the "do-nothing" charge is a silly one. If anything, House Speaker Nancy Pelosi, D-Calif., and her caucus have tried to do too many things rather than focusing on the specific work of restoring a functional system of checks and balances by doing a few things right -- like forcing President Bush to negotiate in good faith on new policies regarding Iraq and holding wrongdoers in the White House to account for disregarding basic constitutional standards. Despite the lack of focus, and the missteps that have resulted from misreading a fully uncooperative White House, this new Democratic majority in the House and Senate has completed important work regarding energy policy, farm policy and economic initiatives such as increasing the minimum wage. So when his fellow Republicans peddle the "do-nothing" spin, Petri begs to differ. "I don't think it's a do-nothing Congress. 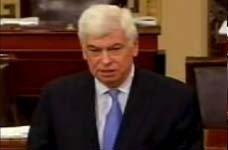 I would think it's more of a getting-oriented Congress," said the veteran congressman. Of course, the parties are wrangling over bills and policies, but Petri noted, "Congress was able to do its job and pass needed legislation to promote energy conservation and the development of alternative energy sources." Petri, one of the Hill's most ardent advocates for smart education policies, is already talking with Democrats about enacting legislation to allow school systems to use computer-based testing that adjusts according to a student's ability level. That's a change that the congressman says will make it easier for schools to do a better job of measuring individual student progress under the flawed No Child Left Behind law. The receptiveness of Democrats to his proposals leads Petri to believe that the new House leadership may "avoid making the same mistakes the Republicans made" when they used their control of the chamber to practice scorched-earth politics. That's a wise hope, and a fair assessment. As we begin a new year, there is much for Congress to do -- despite the distractions of the presidential election season. The Bush-Cheney White House will continue to play an obstructionist role. But smart bipartisanship -- especially on issues such as education, energy and environmental protection concerns and enlightened foreign policies -- can counter the worst instincts and inclinations of a lame-duck administration. And Petri is taking a lead in promoting it. We know that Democrats in the Wisconsin delegation respect him for this. We hope that Democrats in the House leadership in Washington -- especially Pelosi, whom the Wisconsin Republican speaks about positively -- will recognize that they have a wise and willing potential partner on the other side of the aisle.